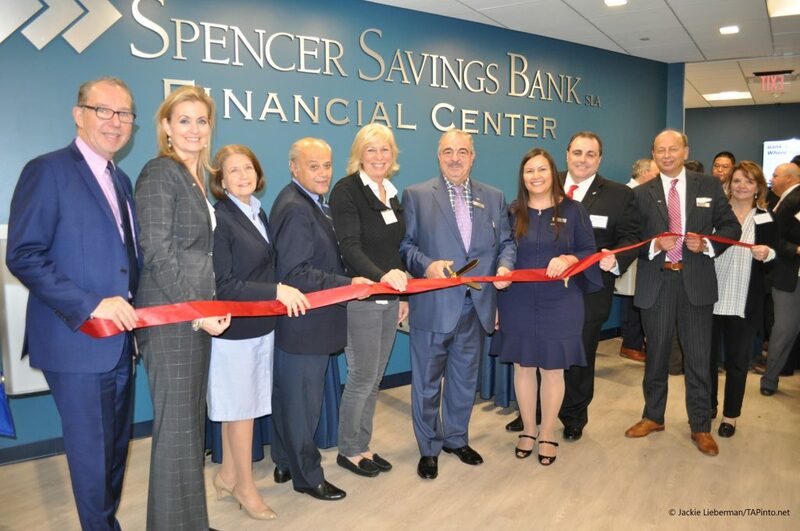 Spencer Savings Bank celebrated the official opening of its financial center in Westfield, N.J. last week with a ribbon cutting ceremony. Westfield Mayor Shelley Brindle joined the bank and town officials in celebrating the new business location in downtown Westfield at 240 North Avenue. The center, located directly across the train station, marks the twenty first bank location in the region for Spencer. The financial center is a new banking model that features the latest technology to simplify the banking experience, with interactive teller kiosks that allow customers to connect with bankers via video. There will also be staff on hand to help customers with more complex transactions. It will be operating on extended hours of 8 a.m.-8 p.m., with a 24-hour ATM machine available. The center will also feature a loan production office with loan officers ready to assist customers with all of their business and commercial loan needs. Spencer Savings Bank has been in Union County for decades, with locations in the surrounding areas of Cranford, Union and Elizabeth. Staff members are also longtime Westfield and Union County residents, holding prominent positions and connections with various organizations in town. Continuing its long-term commitment to supporting nonprofits and their community outreach programs, the bank recently made a donation to the Westfield Historical Society. Celebrations will continue with a number of attractive grand opening specials, running through November 30th, 2018. Customers who park in the train station lot, across the street, will also be reimbursed for parking fees. Please visit Marta Alexandre, Financial Center Manager, at the center for more information on promotions and parking reimbursement.